Hoppered Gold Nugget from Colorado - 1.34 Grams - - It's Free! 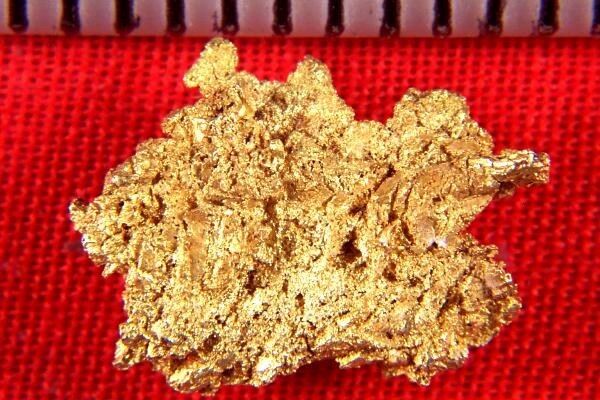 This hoppered gold nugget is from the Gold Flake Vein at Farncomb Hill in Colorado. 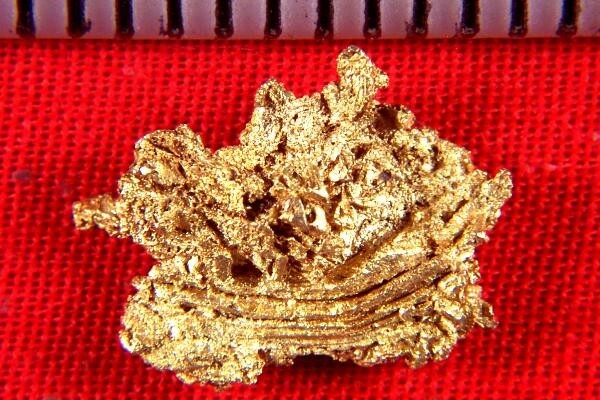 Found by a prospector in the 1890's, this fantastic natural hoppered gold nugget is 9/16" long x 3/8" wide and weighs 1.34 Grams (21 Grains). It would make a wonderful addition to your collection.